Raiders! : The Story Of The Greatest Fan Film Ever Made will be hitting select theaters and home video on June 17, just in time for the 35th anniversary of Spielberg’s action-adventure classic. Two of the original filmmakers—Chris Strompolos and Eric Zala—will also be hitting the road to promote the doc on the Raiders: Follow Your Dreams Tour. Starting on June 2, the guys will be doing Q&As in several cities, leading up to ad just after the film’s wide release. 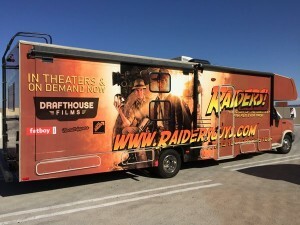 A full list of tour dates is available on the Drafthouse Cinema website.